In the Smart Air Purifier project, a prototypical microelectronic IoT-platform was developed and integrated into an air purifier unit for the use in cars. 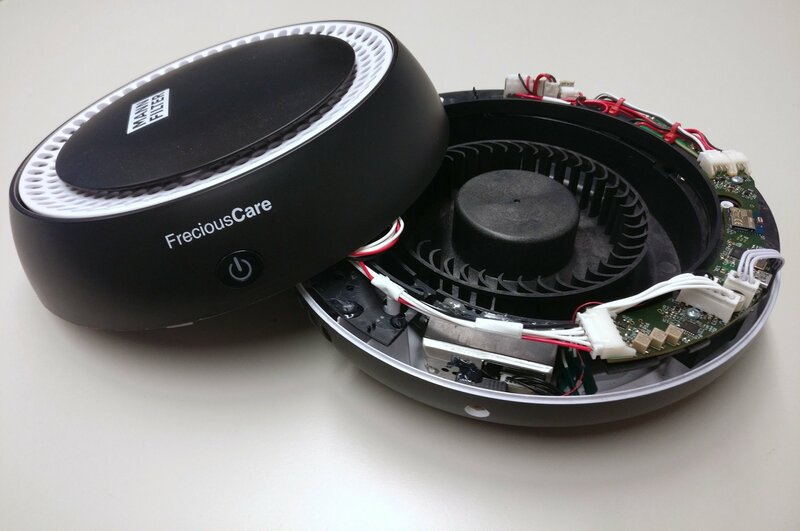 This Smart Air Purifier is outfitted with various environmental sensors, a microcontroller, and a Bluetooth Low Energy module. The system can determine the temperature, humidity, and concentration of various gases and particulate matter in the ambient air. An indicator of the air quality is calculated from this data and both displayed as well as used to control the speed of the main fan. While stand-alone operation of the device is possible, extended interaction with the system and presentation of measured values is carried out via a Bluetooth connection to a hand-held device. 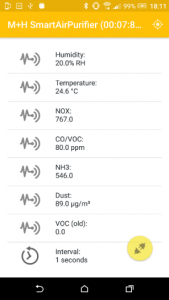 Furthermore, a cloud database service was developed that stores data from multiple air purifiers. 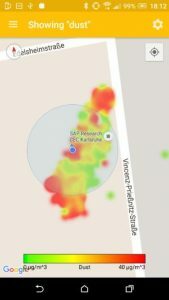 The app then illustrates the air quality reported from all connected purifiers as a heatmap overlay. The system is based on a commercially available MANN+HUMMEL Car Air Purifier FreciousCare 301 which was modified to a great extent. The main component is a specially designed curved circuit board that holds an Atmel microcontroller, a long-range Bluetooth Low Energy module, and the environmental sensors. 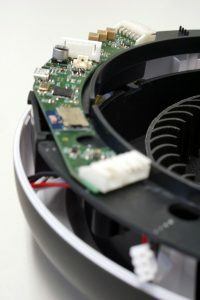 A small secondary fan draws in air from the side and guides it to the sensors. The system can be powered either through a 12-volt cigarette lighter socket or a 5-volt USB power supply. 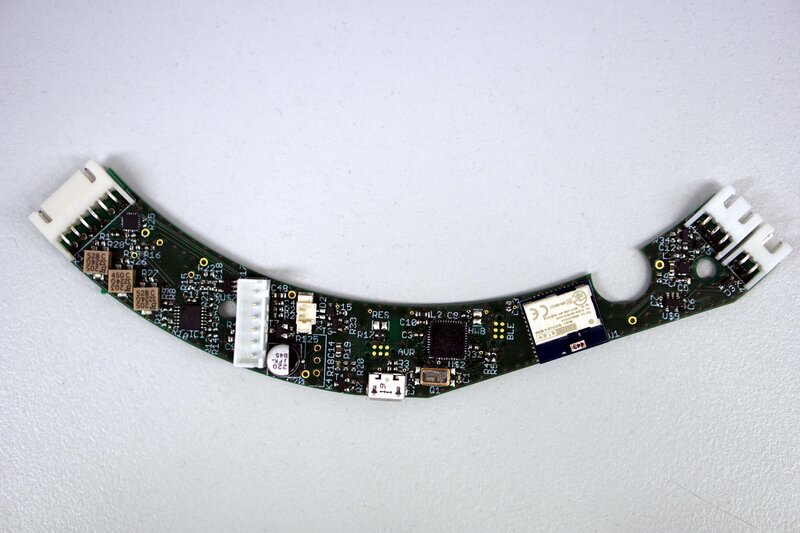 The system was characterized and calibrated by comparing the output of the sensors to reference measurements. 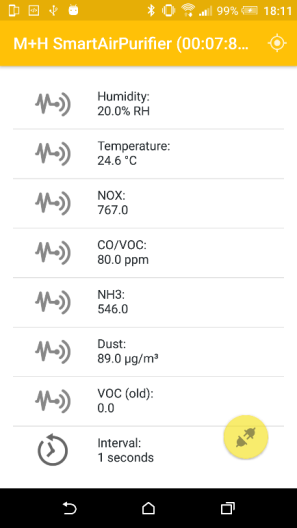 In order to display a singular value indicating the air quality via an RGB LED and to control the air purifier’s main ventilator, we defined an Air Quality Measure (AQM) comprising of discrete levels ranging from one to ten calculated from the readings for volatile organic compounds (VOCs) and particulate matter (PM).